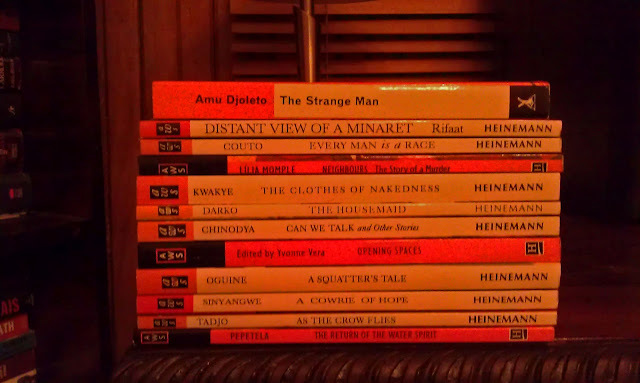 It's no secret - I have a thing for Heinemann's African Writers Series. In fact, I have a not-so-secret wish to one day hopefully own the entire collection. While I'm still waiting for my fairy godmother to obviously grant this not-so-secret wish of mine, I decided to try and start it myself. The Hub Media Store at Palms actually has quite a good selection of the AWS, and is where I've been buying most of mine from. I've mainly got the ones that were published in the late 90s/early 00s. 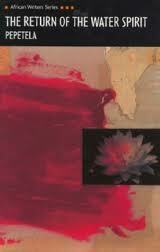 I'd really love the older ones like Cyprian Ekwensi's People of the City and Flora Nwapa's Efuru. Here's my slowly growing AWS collection. 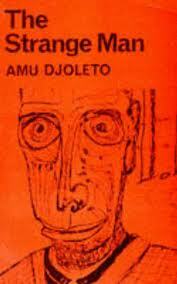 The Strange Man (1967) by Amu Djoleto was a birthday gift from my friend vieve, and really the only 'older' AWS book I own. 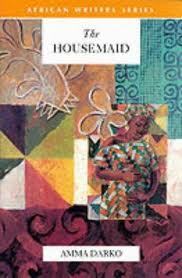 It is the story of old Mensa, a respected member of a village community in Ghana. Always in trouble, Mensa is sent away to school. Such is the viciousness and corruption at these schools, that Mensa leaves with little regret. As a civil servant he sets about building a reputation as a man of standing, but his greatest problems are within his family. 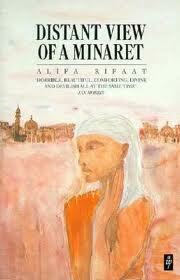 Distant View of a Minaret (1987) by Alifa Rifaat is a collection of fifteen short stories that give readers a glimpse of what it means to be a woman in an Orthodox Muslim society in Egypt. The stories are not interconnected, but together they form a vivid portrayal of Rifaat's world. 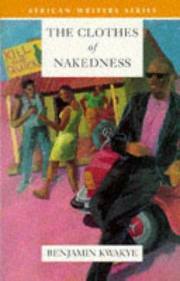 The Clothes of Nakedness (1998) by Benjamin Kwakye is a story about Gabriel Bukari, an out-of-work taxi driver living from hand to mouth in a poor suburb of Accra: honest, kind-hearted, and faithful to his wife. When he meets Mystique Mysterious, the "big man" who can get him a job, he is exposed to temptations he has never faced before. In The Housemaid (1998) by Amma Darko, a dead baby and bloodstained clothes are discovered near a small village. Everyone is ready to comment on the likely story behind the abandoned infant. The men have one opinion, the women another. As the story rapidly unfolds it becomes clear that seven different women played their part in the drama. All of them are caught in a web of superstition, ignorance, greed and corruption. African women are seldom given the space to express their concerns, their ideas and their reflections about the societies in which they live. 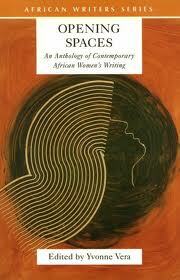 In Opening Spaces: Contemporary African Women's Writing (1999) Yvonne Vera brings together the stories of many talented writers from different parts of Africa. Contributors include Ama Ata Aidoo, Veronique Tadjo, Melissa Tandiwe Myambo, and Leila Aboulela. 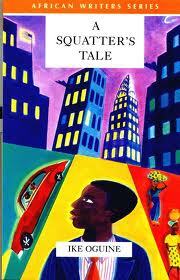 In A Squatter's Tale (2000) by Ike Oguine, a young financier Obi enjoys life in the fast lane in 1990s Lagos. He walks tall in designer suits with his girlfriend at his side, enjoying the envy of those with empty purses. When his finance company collapses, Obi's decadent lifestyle comes to an abrupt end, and he is forced to flee to the United States. There he has to live on the margins of society. The Return of the Water Spirit (2002) by Pepetela is set in Angola in the late 1980s, a time of war, and when the Marxist-oriented ruling elite became engulfed by corruption, nepotism and rampant capitalism. Three centuries earlier, a hideous crime occurred, the beheading of a slave who had had inappropriate relations with his Master's daughter. Now, in the very same Kinaxixi Square in the city of Luanda buildings are falling down one by one baffling the country's engineers. Many describe this mysterious process as 'Luanda Syndrome', God's punishment on a degenerate society. Drawing on the essence of African mythology, which had all been obliterated by history, could this be explained by the return of a Water Spirit (the 'kianda')? PS. My internet has been down for nearly a week (one of the many joys of being in Nigeria) and finally started working again yesterday (Yay!!). So glad it's back, I was going through some serious internet withdrawal.